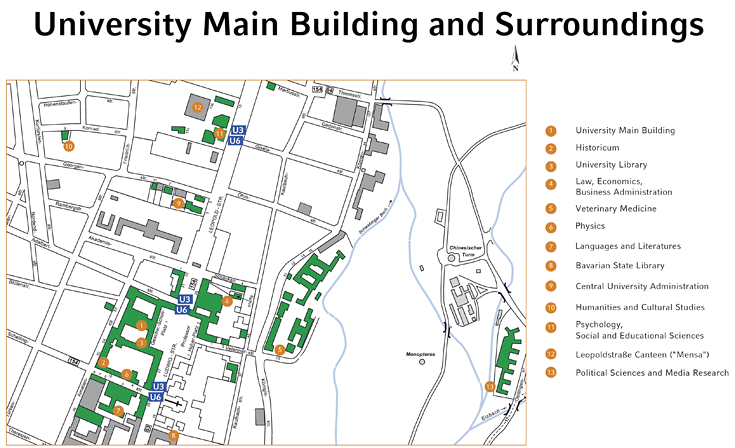 The architectural centerpiece of LMU Munich is its historic Main Building in the heart of the city. Primarily home to the social sciences and humanities, this world-famous building also houses the main university library in its south wing, with collections comprising nearly half of LMU Munich’s total stock of 6.6 million volumes in the university’s central and more than 150 departmental libraries. The main library is close to the Bavarian State Library and several important museums and archives, providing an ideal infrastructure for research and study. The majority of the natural and life sciences are concentrated at the HighTechCampus in Großhadern / Martinsried in the southeast of Munich. 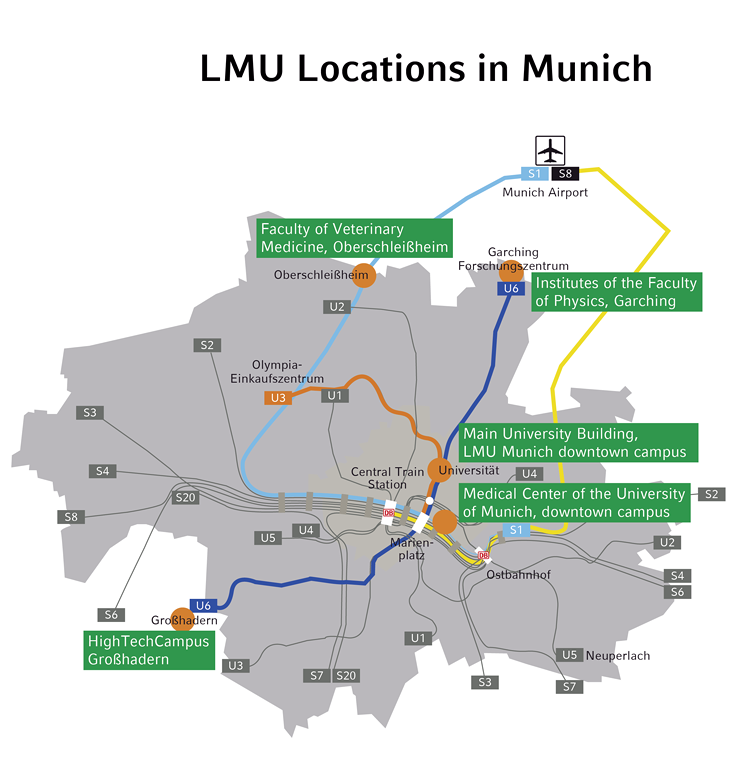 A research campus unique in Europe, it facilitates innovative and interconnected research at the highest level, often in direct collaboration with the adjacent Max Planck Institutes of Biochemistry and Neurobiology, and with the Helmholtz Center München – National Research Center for Environmental Health. In addition, the Innovation and Startup Center for Biotechnology (IZB) and BioM Biotech Cluster Development provide the necessary platforms for an efficient technology transfer of research results into practical application.